Today's guest blogger is Delphine Pontvieux. Delphine took an unconventional route to publishing her thriller, and we thought our readers would be interested to hear her story. First, a bit of background: Delphine was born in Versailles, grew up in France and graduated from University of Burgundy. She studied and worked in Australia, USA, Spain, and the Netherlands until 1998, when she moved to Chicago. She has 10 years of international sales and experience in the music and entertainment industry. "ETA Estimated Time Of Arrest" is her first novel. As an aspiring writer, you soon find out the amount of work that is being put into writing a book: first comes the draft, then the second, the “I-can’t-remember-which-version-this-is-anymore” word document staring at you blandly on the computer screen. Then comes the editing, the rewrites, the second round of edits, the proofreading (giving it yet another go for good measure because, inexplicably, you still found a typo on page 129 after the 27th round of dissecting your manuscript line by line) until one day, hallelujah, you’re done with it. Seriously, I mean, “cross-my-heart-and-hope-to-die” done for good. You know it because this is the day when you find yourself enjoying a bottle of wine with a real person for a change instead of clicking glasses ‘en tete-a-tete’ with your computer at 3 in the morning. Yep, it’s over and out. FI-NI-TO. Someone should have reminded you to savor that moment and milk it for all it’s worth, because a finished manuscript is only the beginning of your journey on the path of publication. Should you go the traditional route, i.e., hunt down an agent, receive 83 rejection letters, still hope to get a deal, send another batch of queries, wait another year or two (or twelve) to find a publisher only to find out that your agent has dropped you and you’re back at square one with nothing to show for but a stupid pdf file baring the title of the ‘chef d’oeuvre’ you were once so proud of. Or, one night, as you’re crying your eyes out in your ratty pajamas, you start (gasp! )considering the vanity press option. Oh, you know the feeling: on the one hand, you will get to finally hold your book in your own hands. How cool would that be? Yet, on the other, you are well aware that you will be forever frowned upon by “real” published authors, the media, and basically everyone in the book publishing world till hell freezes over. Well, there is a third option out there, and that is to start your own bona fide publishing company. Granted, it is a road that is seldom traveled, for a great number of reasons: it requires fronting a non negligible amount of money, a tremendous amount of work for little-to-no pay, extensive experience in the marketing and promotion fields, not to mention a healthy dose of social skills, courage and determination. This is the path I chose, mainly because I am notoriously impatient (the idea of waiting for weeks and weeks for a potential answer to a query alone gave me palpitations), plus I was lucky to have worked for many years in the music industry, which gave me the experience and knowledge required to foray into this other branch of the entertainment business. Besides, I always wanted to start my own business. My company, Miss Nyet Publishing, LLC, just turned one on July 8. I have a distribution network in place, online and at brick and mortar bookstores, including chains. 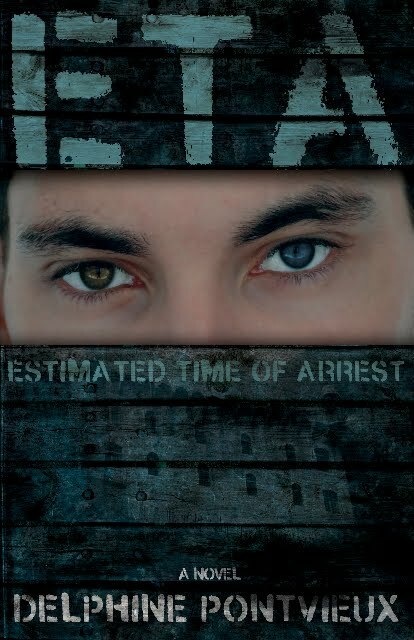 I am building my media database and focusing on landing a publishing deal for my novel “ETA-Estimated Time of Arrest” in Europe (with a traditional publisher this time). I am receiving more submissions as the word spreads and hopeful to come across a manuscript that I will want to release. I get to wear many hats throughout the day: I’m the agent, the manager, the publicist, the warehouse clerk and the author all wrapped up in one. The only downside with running the company is that it greatly cuts down on my writing time window. In this new era of online buying, digital download and world wide access to information and product via internet which affect and transform the consumption patterns of readers, the publishing world is undergoing deep changes. As companies of every size strive to figure out and implement new business strategies, I believe now is an exciting time for small independent presses to carve a niche and take a piece of the Lion’s share, as we take advantage of new tools born from the digital revolution, and serve as an intermediary between not-yet published writers and large publishers. As a small press, I am aware of my limitations and yet, I still have the flexibility, will and energy to develop an author (in this case, myself) from the ground up, which is something larger companies don’t necessarily have the time or patience for. When 21-year old Lartaun is wrongfully accused of a terrorist crime and forced to flee his native Basque Country, his childhood friend offers him the chance to return to Europe under a new identity, but with a price, as Patxiis secretly planning a brutal event that will shake Spanish politics. You and Cara Black ought to get together. She's also written about the Basques in her upcoming Amy LeDuc series, primarily set in Paris. I WIsh you the best of luck, Delphine.It must have taken a lot of courage to start your own company. What was the easiest part? The most challenging? i would certainly love to meet Cara Black, let's make it happen! And thank you for the nice words. Starting a new venture in this tough economy is not the easiest, but one can hope it can only get better from then on if we manage to keep it afloat. The hardest part to deal with is retail (even though i fought hard and managed to get an account with baker and taylor, quite a feat for a "one-title publisher" like me so i could get access to chains). i have had a lot of support from most independent bookstores in Chicago, which felt very goos. Another tough thing is reaching out to large media. But i knew from the beginning that it takes time to build a company and contacts, and i am ok with what i have accomplished so far, even though, of course, i wish i was way ahead of the curve... but that will come, too, with hard work and, let's not kid ourselves, luck. Did you get into the chains? How is that working for you?